What is a radon sump cover? A Radon Sump cover, as the name suggests is just a lid that covers the sump pits designed for radon mitigation. Other than preventing the radon gas to build up in your house, it acts as a protector of the sump pit from the unwanted objects that may fall on to it. Also, it helps you to get rid of the odour which may seep into your house through the drainage sumps. Does a sump cover help in reducing the radon level? Since radon enters your home through the sump pipes in the gas form, its flow can be restricted by sealing the sump pits. In fact, some studies have shown that homes with sealed sump pits have lower radon levels that those without sealed sump pits. There are lots of options available in the market and if you are confused about which product is better and which one to pick, we are here for a little help. 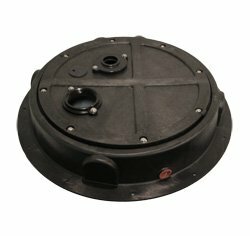 This sump cover is made from Polyethylene structural foam plastic with stainless steel bolts and ABS plastic flanges. This cover is designed to be gas tight and may also be used to retrofit failing sump basin covers. It has three detachable cover options which make it a versatile product. It can fit onto a 22” opening and comes with a wide range of adapters to fit into different hoses. It comes with an in-built pipe port, to fix your radon issues. These ports are flat sections which can be found around the sides. The only downside to this product is its high price. 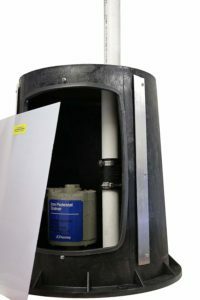 If you want to reduce the radon levels in your home or avoid unwanted heavy objects to fall into the sump pit, this radon sump dome is an ideal buy. It helps in reducing passive radon levels and is quite strong in terms of durability. It can be installed easily since you will not need to dig up your basement or garage floor to remove the existing sump or sewage basin, to put in this new dome. 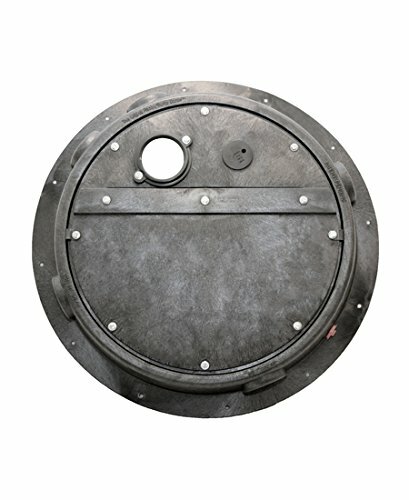 All you have to do is to remove the existing dome and replace the cover with this one. The product dimension is 29 x 29 x 5 inches with a weight of 12.6 pounds. It has a unique split design. This means you can either open the cover fully or in some cases just open half the portion, as required. It can be secured to the basement with rubber gaskets and bolts. If you have a pedestal pump system and are looking for its cover, this one is a good buy. You can easily access your pump and replace it when needed through its clear door panel. This means you will not need to remove the entire cover to replace the pump. It comes with accessories like pipe seals cord seal, a tube of Dap Black Silicone Caulk. There is provision to connect the permanent radon pipe on top of its cover. The airtight seal of this cover helps not only in radon gas mitigation but also prevents odour to enter your house. Now I hope you have got a general idea of what are radon gas sump covers and why are they needed. Check your house for radon gas levels and choose the best radon mitigation covers for your homes, at the earliest to prevent yourself and your family members from its dangerous side effects. These mitigation systems are easy to install and budget friendly. how to seal sump pump cover for radon? Sealing a radon sump pump cover is an easy task. Check out this video.